KBS2 is planning a new, documentary-variety fusion program, titled 'The Secret and Great Daily Lives of Animals'. In this program, celebs get to challenge becoming a documentary PD for themselves by planning and filming a mini-documentary about wild animals. The first star to take on this challenge is Honey Lee, as the overall PD of the program's first mini-documentary filming and process. 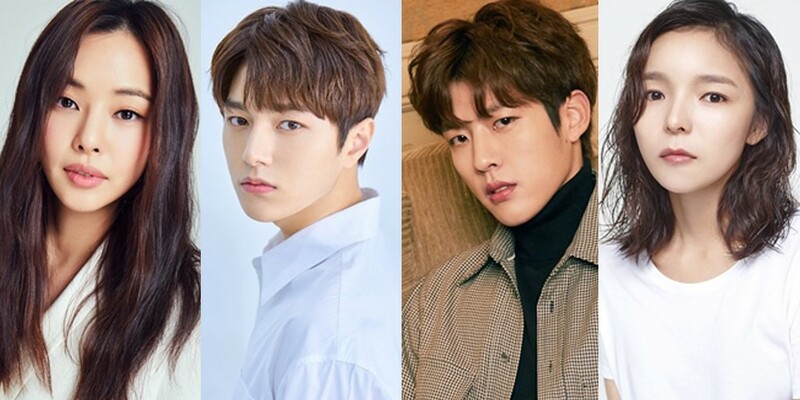 Honey Lee will be joined by photographer INFINITE's L, drone camera director INFINITE's Sungyeol, and finally, assistant director Park Jin Joo. The four stars have already completed much of their overseas filming in Tahiti, according to reports. Their mini-documentary will detail 'The Secret and Great Daily Lives' of humpback whales, capturing gorgeous scenes of the Tahiti oceans and of course, the whales. You can catch the premiere of 'The Secret and Great Daily Lives of Animals' beginning November 23 at 8:55 PM KST! I hear wildlife photography can be impossibly frutraiting, good luck to them.